Dr. Lee Keen Whye has a special interest in the provision of pregnancy care and delivery services. He is very passionate and highly skilled in endoscopic work — especially in hysteroscopy, laparoscopy and vaginal rejuvenation. He has conducted many international lectures and preceptored many endoscopic workshops in the region. He introduced High Intensity Focused Ultrasound (HIFU), a non-invasive surgical procedure for the treatment of uterine fibroids and adenomyosis, and became one of the pioneer gynaecologists to perform HIFU in Singapore. Dr. Lee is the Leading Consultant Obstetrician and Gynaecologist at the Gleneagles Medical Centre, and has played a part in co-founding Singapore O&G Ltd. He regularly receives invitations to give lectures, both locally and around the world. Outside of his practice, he is actively involved in several medical organisations. He was appointed Chairman of the Minimally Invasive Surgery Centre at Gleneagles, between 2001 and 2008. From 2003 to 2005, Dr. Lee held the role of President of Obstetrical and Gynaecological Society of Singapore. 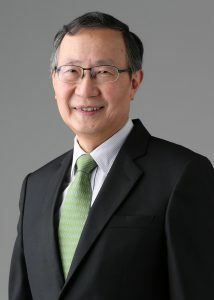 He is also a founding member of the Asia Pacific Association of Gynaecological Endoscopist, as well as an Associate of the Laser Vaginal Institute of Los Angeles, USA. Besides these roles, he also served as Chairman of Surgeons International Holdings Pte Ltd, from 2005 to 2010. In 1996, the Army Medical Services Headquarters presented Dr. Lee with the National Serviceman of the Year Award for his leadership and dedication to the SAF Medical Services. In 2003, the Obstetrical and Gynaecological Society of Singapore also awarded him with the prestigious Benjamin Sheares Gold Medal. Thereafter, he would serve as a medical volunteer at the Singapore International Foundation, which has brought him on a number of medical missions. One of the missions was with Ren Ci, during the aftermath of the 2005 tsunami in Sri Lanka. Dr. Lee currently practises at SOG – KW Lee Clinic for Women, located at Gleneagles Medical Centre, and at Farrer Park Hospital.